Brief Description: Are you a fan of On The Buses? Can you recall the many memorable characters who helped to turn the series into one of the best-loved British sitcoms of all time? Do you miss the uncensored humour and risqué scripts of television past? If so, The On The Buses Quiz Book is certain to appeal to you. If you enjoyed the hilarious antics of Stan Butler (Reg Varney) and his family or Jack Harper (Bob Grant) and the long-suffering Inspector Blake (Stephen Lewis), take a trip down memory lane and find out how many of the 1,000 questions you can answer in this exciting new quiz book. With sections on the iconic characters, actors, writers, directors, producers and locations, this book covers the whole 'On The Buses' journey from inception through to the three spin-off feature films and follow-on series Don’t Drink The Water. This book is for anyone who remembers On The Buses and would like to find out more about one of the most controversial and popular sitcoms ever to appear on British TV. 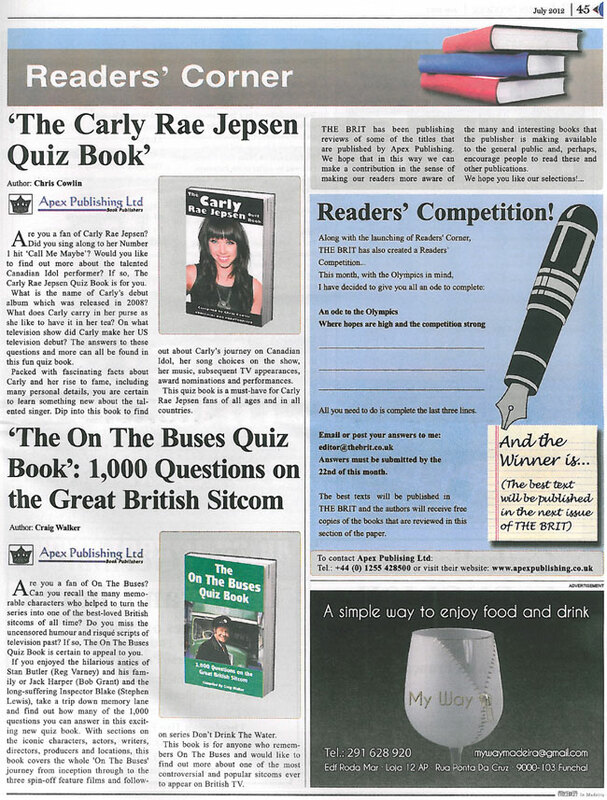 About the Author: Born in 1968, Craig runs the original On The Buses forum and organises the annual On The Buses event in Borehamwood, he is a big fan of British comedy shows. He currently lives in Edinburgh. His first book 'On The Buses: The Complete Story' was published by Apex Publishing Ltd in October 2009. 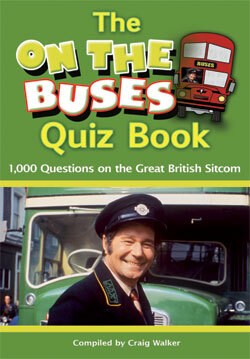 Crammed full of questions about the classic sitcom ON THE BUSES. This quiz book will keep you guessing. A book that is a trip down memory lane weather attempting alone or with friends.